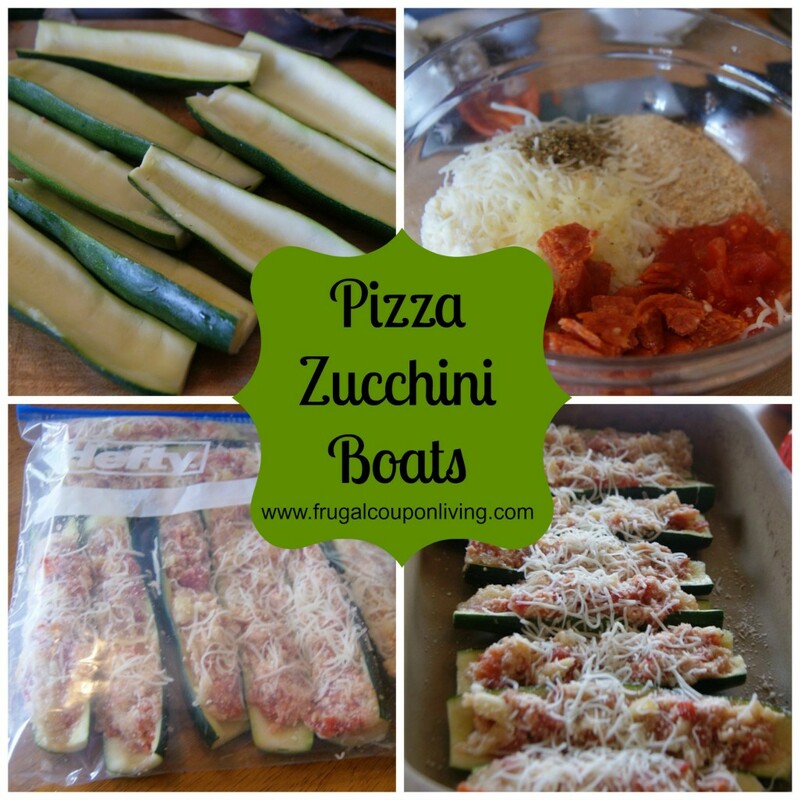 Zucchini can be a delicious and healthy alternative to pizza with all of the flavor. Kids will be inclined to gobble up their veggies when they are mixed into cheese and pepperoni. Let them help by stirring the mixture and spooning it in the shells and see if they don’t take more interest in something they have helped prepare. These are tasty warmed up in the microwave the next day so make a little extra and you will have lunch covered too. Dice pepperoni. Slice zucchini long ways and chop off ends. 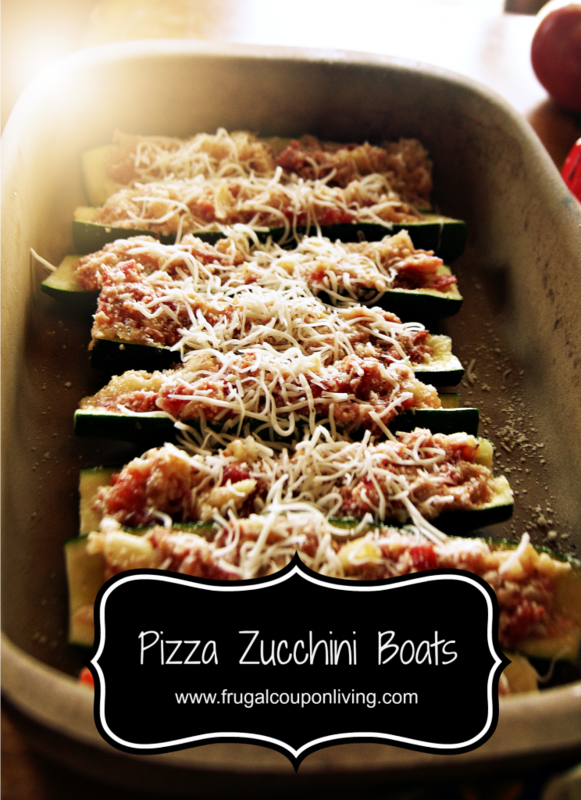 Use a spoon to scrape insides of zucchini out leaving at least ¼” to create a shell. Chop zucchini that you have scooped out, and place chopped zucchini into a small bowl. Add all remaining ingredients, stir well, combining thoroughly. Scoop mixture back into zucchini to create a heaping filling, and top with shredded mozzarella. Place in freezer bag for later cooking. Or if preparing now; preheat oven to 350°, place zucchini in baking dish sprayed with nonstick cooking spray, bake for 25-30 minutes until tender.